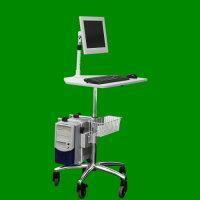 Pneumatic lift computer mobile workstation(model #60251 series) - Sallas Industrial Co., Ltd. 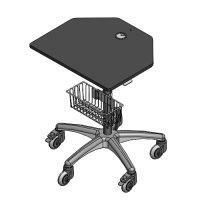 This height adjustable pneumatic lift notebook computer mobile cart is designed to be high quality appearance and competitively priced. It provides effortless height adjustment and cart mobility. Pneumatic lift platform with wire controller. Platform height adjustment from 31" to 41". 5 x 4" heavy duty wheels/2 lockable. Optional flexible pole mount adjustable CPU holder.